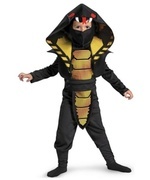 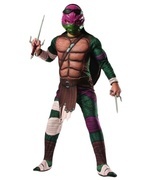 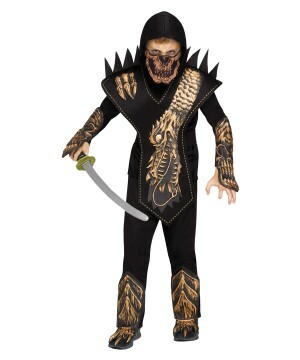 Boys Skull Dragon Ninja Costume. 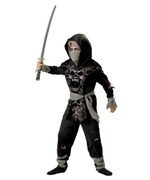 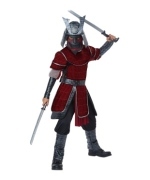 Includes hooded shirt with attached arm guards, pants with attached shin guards, tunic with shoulder spikes, belt, skull half mask. 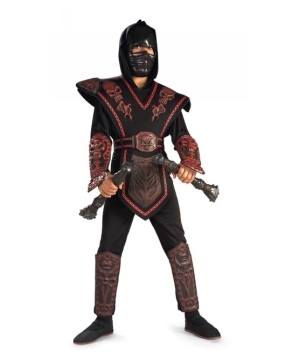 Available in Small (4-6), Medium (8-10), Large (12-14). 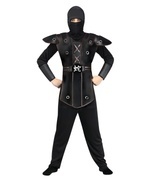 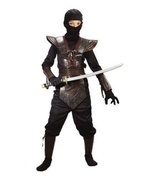 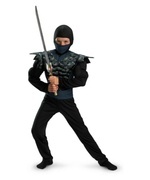 Be an ultimate warrior with this terrifying ninja costume. 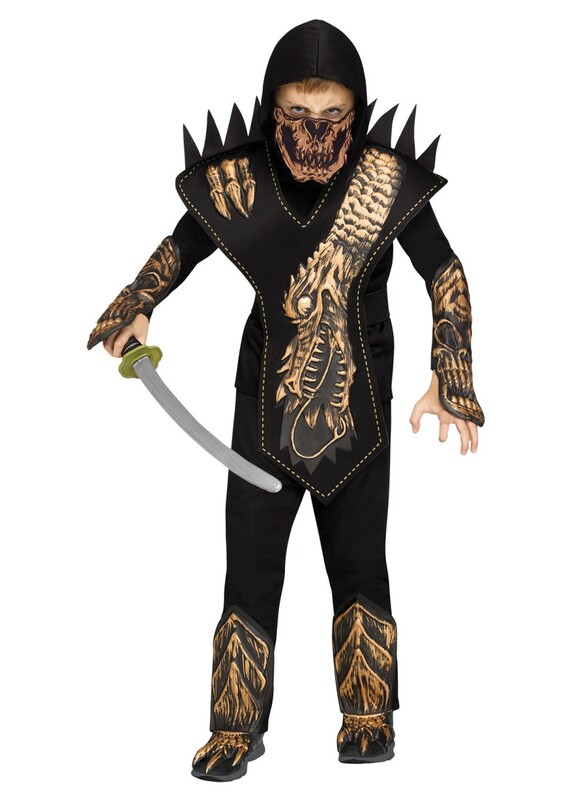 The spiked shoulders and shin bone and arm bone details and skull half mask will leave anyone who crosses your path begging for mercy. 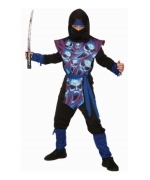 Review(s) for " Boys Skull Dragon Ninja Costume"